Install it and try it out for yourself – if you don’t love your Peragon truck bed cover, we’ll take it back and give you a full refund. 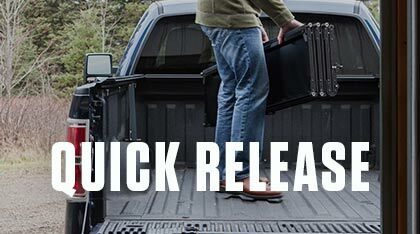 The Peragon tonneau cover retracts out of your way in a matter of seconds allowing you access to the gear in your truck bed. 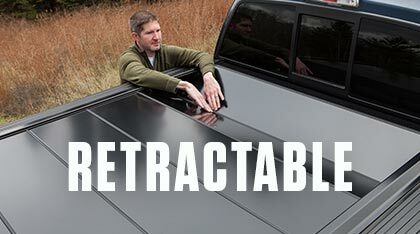 Just as easily, you can cover the bed back up to protect your cargo from theft and the elements. When you need the cover completely out of the way you can remove the entire truck bed cover in less than 30 seconds with no tools. Stow it in your truck bed, back seat or in your garage and you have full access to your bed. 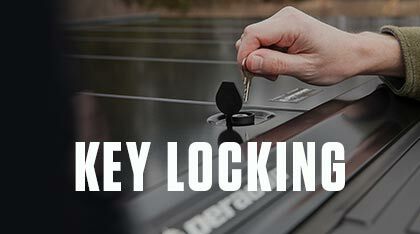 With a solid aluminum construction and key-locking deadbolt, the Peragon cover provides exceptional security and protection. 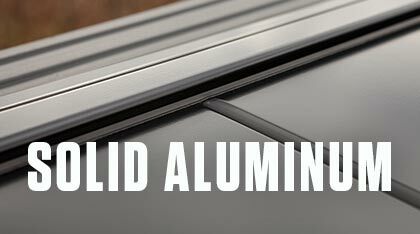 For those that want the utmost security, we offer our Dual Deadbolt System as an option. Enter your email and receive a special offer immediately! Sign up to receive the best deal of the year. You'll receive the latest news, offers and resources. We won't share your information with anyone! Copyright 2019 Peragon Enterprises, Inc. All Rights Reserved. You'll recieve the latest news, offers and resources. We won't share your information with anyone!